Candy and flowers are always great options for Mom but this year, I was racking my brain trying to come up with some more unique and personal gifts to make her day really special! In my searches, I came across a variety of really neat things that I thought I would share with you all to make this year a Mother’s Day your Mom won’t forget. I hope this helps and a Happy (early) Mother’s Day to all you Moms out there, even those with only four-legged animals because, hey (!! ), we are mommies too! 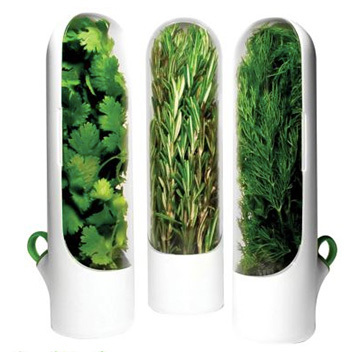 If Mom is a master in the kitchen then she will appreciate having fresh herbs on hand at all times. Herbs from your local farmers’ market can get expensive, especially if you aren’t able to use them quickly enough before they go bad, so keep them fresher longer with these cool herb saver pods. They have a cool modern vibe and can be stored on your counter top or fit perfectly in the fridge. As an added bonus, they are dishwasher safe! Flowers are beautiful and every girl loves getting them! However, after a few days, they do begin to wilt and lose their beautiful scent. 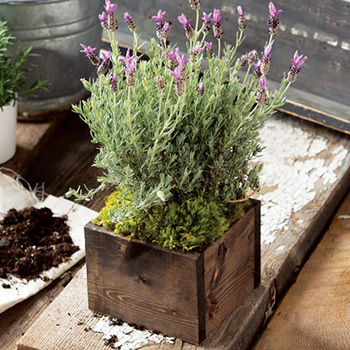 Opt instead for this lovely lavender plant from Olive & Cocoa that comes in a hand-crafted wooden box. It’s decorative, will make the house smell amazing, lasts a long time and is easy to care for! What’s better than giving a great gift that combines two of her favorite things? This stunning living work of art is such a conversation piece and it can be kept indoors or outdoors. 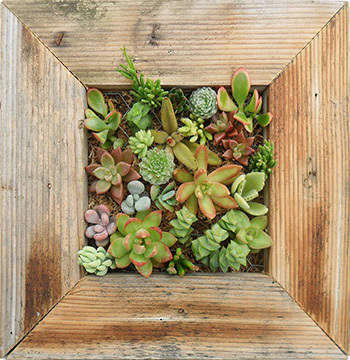 The kit includes everything she will need to get started and what a fun project for you and mom to plant the succulents together and then pick out the perfect spot for it! Nothing is better for your body then water, but you can even take that up a notch by infusing it with fruit and vegetables! 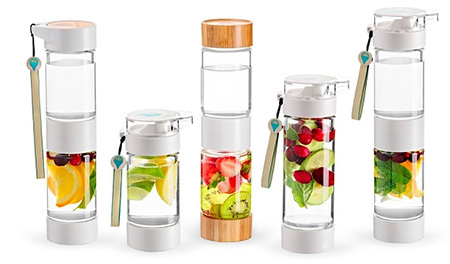 Triple berry, cucumber mint…the possibilities are endless with this eco friendly water bottle! Make this gift extra special by making her a hand-crafted recipe book based on what she likes. She will think of you every day when she takes her fruit-infused water with her. Fancy jewelry is always great but sometimes it’s not practical for every day wear. I love this necklace from Red Envelope because it is such a simple, cute design and can be worn all the time. 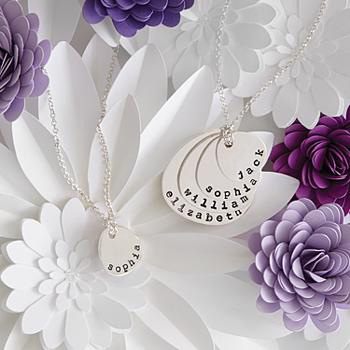 It’s sterling silver and you can have the name of each of Mom’s kids’ names stamped onto a tear-shaped disc. I also think the price is great. It’s a keepsake she will adore! Let me start off by saying yes, this is a total splurge item but wow is it cute! 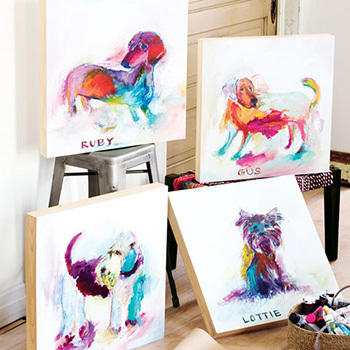 At OliveandCocoa.com, you can send in a picture of your dog and in 10 days, they will send back a personalized pup painting. It has a contemporary abstract look with vibrant colors and each one is really unique. Like I said, it’s a total splurge at $298 but I had to add it in here because, in the magazine, it looked so adorable!